British parliament this week reached out to the gaming community to ask them whether they believed gaming was helpful or harmful to society. 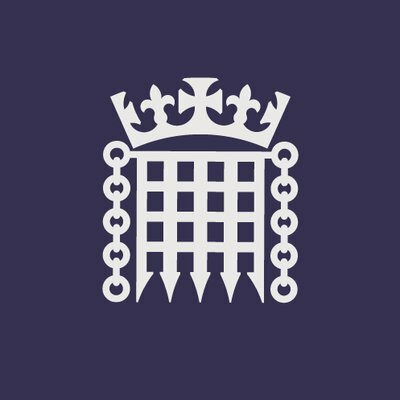 In a press release on Tuesday, parliament said it was running a new study into “immersive and addictive” technologies and wanted to speak to gamers, game designers and anyone else working in the game industry. This is a huge opportunity for the community to promote and defend their hobby and cannot be overstated. Given the consistently negative messaging coming from mainstream media about the threat to health that gaming poses, and the WHO’s 2018 decision to classify “gaming disorder” as a disease, it’s entirely possible that the government is approaching this contentious debate from a position of bias, especially given the leading questions they have asked as part of a submission of evidence. Yet there is still plenty of reason for optimism. While the WHO made its decision, it hasn’t formally been endorsed by governments yet. That decision is due to happen in May. However, in December last year the Entertainment Software Agency asked the WHO to hold fire on the classification until more “conversation and education” had taken place. Parliament is reaching out to the community to find out from real people how gaming has affected them, for better or worse. This is your chance to tell them. Submissions need to be no more than 3,000 words long and ideally in Word document format, with numbered paragraphs and as little extraneous formatting or colour as possible. When you’ve completed your piece, you can submit it here. There doesn’t appear to be a deadline for submissions but given May is when the WHO’s guidance was set to be accepted by governments, we’d strongly recommend completing this as soon as possible. So, console exclusives then. Uncharted, Halo, God of War, Super Mario and many more that we could all name and have roll off our tongue due to our familiarity — and our passion — for said games. Basically, there are an awful lot of really cool, really well-received and really big (in terms of sales) console exclusives out there. Until recently, the launch-month dollars sales record was held by 2010’s Halo: Reach. Fair — Microsoft’s biggest franchise on what was then the biggest console out there. This has now been beaten, in 2018. So what was it then? Sony’s God of War, or Marvel’s Spider-Man? Nope. It was the Nintendo Switch’s Super Smash Bros. Ultimate, according to the NPD group as reported by Mat Piscatella. I think this says a lot. Nintendo’s dream of this game becoming an eSport to rival others is promising, and it’s quite clearly the brawler to beat all other brawlers. But the fact that as a console exclusive on the SWITCH it’s now the record holder? That has to scare Sony and Microsoft a little bit. They might win the specs war, or the online war or many other wars, but if Nintendo has won this battle, does it indicate they’ll win the home console war — because they provide a portable option too — and subsequently force Sony and Microsoft down a streaming only route? Probably not for the next generation of home consoles but perhaps, maybe, more quickly than anyone could imagine. Conclusion Three: Farming is the most valuable game...in the world? An electronic one, anyway. GIANTS Software have for years now provided millions of players with hours of fun simulating the life of a farmer. 2008 was when the first iteration was released, and now Farming Simulator 19 is the de facto version. It’s kinda crazy to think, but this series is absolutely loved and hella successful. I mean, PC Games Insider tells us that this most recent release, which came out in November, smashed the one million copies barrier in under ten days. Ten. That’s one less than 11, but still. Anyway, I digress. I wanted to explain that this week GIANTS Software has announced plans to take the nascent eSports trial of Farming Simulator and turn it into a fully-fledged league with multiple tournaments across Europe, and a season two prize fund of TWO-HUNDRED AND FIFTY THOUSAND EUROS. Wow. Let that sink in. EA, with its hopes and dreams that FIFA will become the greatest eSport in the world offers more than that — a $400,000 total prize fund — but that’s an eSport related to one of the biggest-selling games in the world, which simulates the biggest sport in the world and is actually a sport. Not farming. 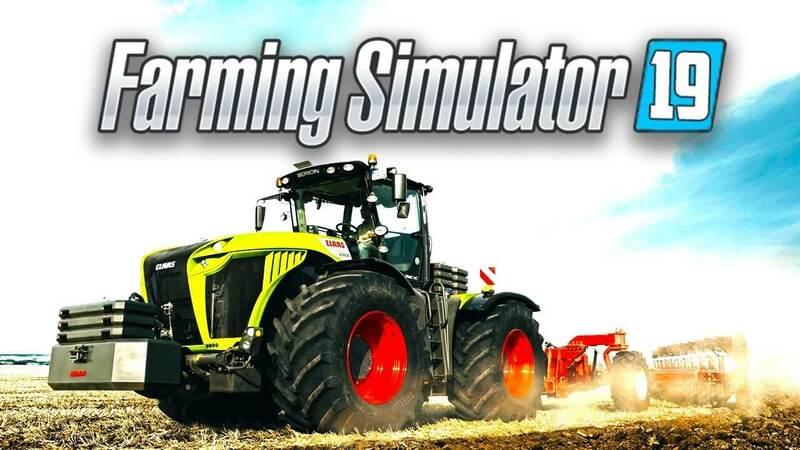 It’s only a matter of time until the Farming Simulator League becomes the greatest eSport in the world with a prize fund dwarfing anything else. It probably already does so when you compare it to the real world sport it simulates (which doesn’t exist and therefore can’t actually have any value). There was a lot of talk last year about Microsoft buying up smaller companies left, right and centre to help flex their gaming muscle. Ninja Theory, Playground Games and Undead Labs are all now owned by the tech giant, but it’s unlikely to turn the tide in this console generation. It’s far more likely that Microsoft will utilise these talented developers for the next Xbox when it’s released in the next year or two, and hope that it can capture some of what made the Xbox 360 such a dominant force before they handed the crown back to Sony. Even so, these acquisitions are small fry compared to Adobe’s move on Wednesday, when it bought Allegorithmic. “Who?” you may ask. Well, they are the creators of Substance, a tool which handles 3D textures for not only huge games (Call of Duty and Assassin’s Creed, for starters) but blockbuster films such as Blade Runner 2049 and Pacific Rim Uprising. Substance also handles material composition to make those incredibly detailed visuals you often find yourself shaking your head at in wonder. If you want an example of how powerful Substance is, take a look at the detail it allows a creator to add to a Harley Davidson. The Photoshop creator has bought into gaming in a big way, and they’re expecting 3D to be huge, especially as the mobile market continues to expand. This is a smart move by Adobe, and one that shows the wider tech industry that gaming is where the future is. As a community, we don't always get things right. Just like any corner of the internet, gaming has its share of bigots and trolls, all too eager to publicise their ill-thought out, and at times disgusting views from behind the anonymity of a username and a glowing monitor. Yet there is also a caring, inclusive side to gamers, one which we believe is growing more vocal and pushing back against what they believe are morally wrong decisions. One such instance is a recent decision by a lottery grant funder to withhold a proposed grant from a charity support group after opposition from the likes of Father Ted writer Graham Linehan. 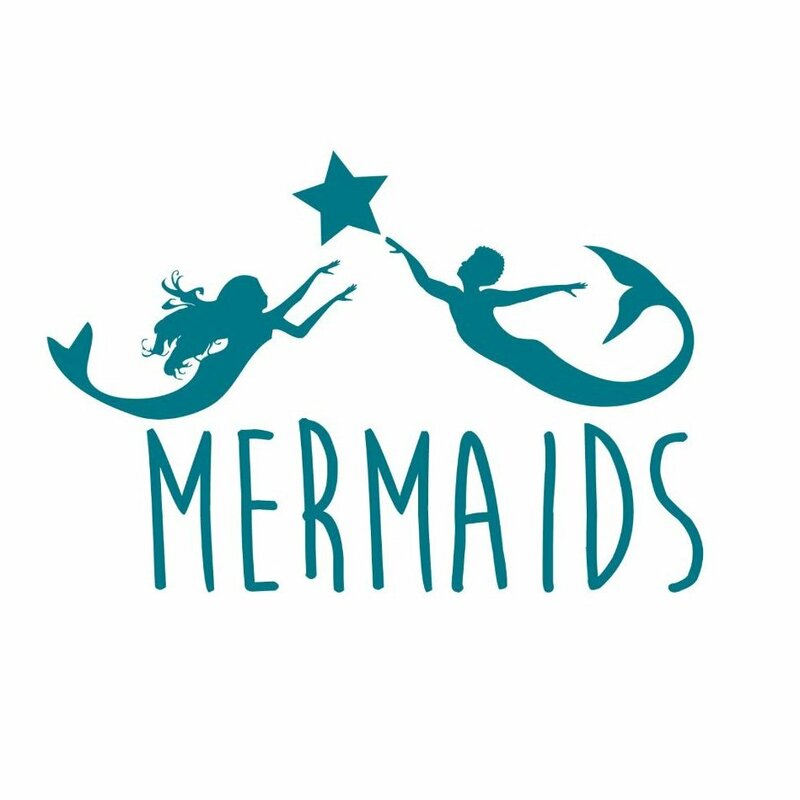 Mermaids is a transgender charity which offers services and support to young people who are struggling with gender identity. They had hoped to use a lottery grant to increase the number of support groups they could provide from eight to fifty-three. However, after Linehan, a notable critic of the transgender community published comments describing the expansion plan as "terrifying", the grant was put on review by Big Lottery. Step forward Hbomberguy, a YouTuber who decided to try and raise funds for the charity himself — by playing Donkey Kong 64 and streaming live for 58 hours. Over the course of his Twitch stream, generous viewers donated an incredible £265,000 to the charity, money which the Mermaids CEO Susie Green said would be "transformational". According to the BBC, the event attracted high-profile names including US congresswoman Alexandria Ocasio-Cortez. Hbomberguy — real name Harris Brewis — chose the classic Nintendo game because he'd never managed to beat it as a kid, and he wanted to support Mermaids because people had been "woefully misinformed" about "the media discussion surrounding this issue". It's heartening to see this kind of positivity being created by gamers who step in to act, free from the kind of media backlash which influences bodies like Big Lottery, and who may be more concerned about a vocal minority of celebrities than the good work charities like this can do for young people.